Upon arrival you will experience how I cater to each client’s unique style and personality. Escape into a world of total comfort, relaxation and rejuvenation. Treat yourself to a luxurious experience…you deserve it! My services will make your stress fade away. Here at CexeCells, I will work hard to maintain high standards, from my quality service to the relaxing atmosphere. I do my best to ensure you receive the best experience possible. The following is a general listing of my policies. New clients should plan to arrive 15 minutes before appointment time to complete a client information form. *We do not accept out of state checks. There is a $35 fee for any returned check. Please note that a deposit may be required at the time of booking for selected services. Reservations are needed for all services. Appointments may be scheduled by phone. I understand that situations arise from time to time that may delay a scheduled treatment from beginning on time. Depending on the circumstances, I may not always be able to accommodate late arrival and appointments may have to be rescheduled. Please be respectful of appointments and give a minimum of 24 hours’ notice if cancellation/rescheduling are necessary. Failure to follow the cancellation policies may result in a forfeiture of deposit. I believe that building my business by recommendations is very important and because I am a professionally trained aesthetician I have adopted a no-tipping policy. However, I will always accept a happy client that can offer a favorable review - thats the BEST tip to receive. Please notify me before reserving your treatments if you are pregnant, have high blood pressure, special physical concerns or diabetes. All guests will be asked to complete a brief questionnaire upon check-in, designed with your well-being in mind. Want to earn more savings on the services you enjoy? 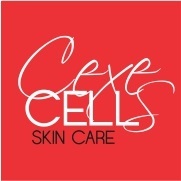 Share your experience at CexeCells Skin Care with a friend! Most of my clients find me by word of mouth, and I appreciate all my loyal clients who spread the word! I want to show my thanks with a program that will give you extra incentive to share your experience with everyone you know! Thank you again for your continued support, helping me spread the word to grow my business and for your positive comments about my services.